Big ideas, updates, and insights – delivered monthly. 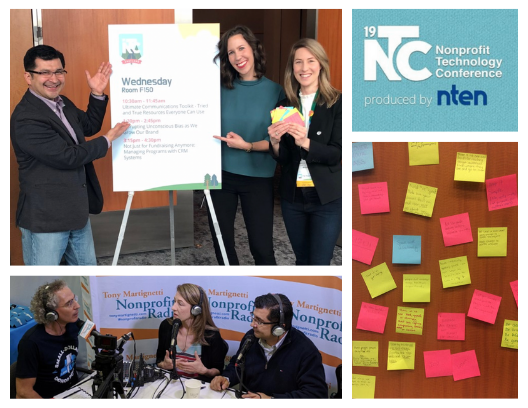 Ever since my colleagues and I got back from the Nonprofit Technology Conference (19NTC) last week, we’ve been reflecting on the experiences and takeaways that would be most valuable to share with you. But this isn’t just any old conference recap. Everything we do here at Cause is filtered through the lens of communications, so it’s only natural that our conference tips would be, too. Here are four communications best practices you can use to make your next conference the most meaningful one yet. 1. Put strategy first. A few days before the conference begins, define what success looks like for you and your organization. Set some concrete goals and write them down. This is a great opportunity to try something new and stretch beyond your comfort zone. Are you an introvert? Try introducing yourself to three new people each day. About to lead a big project at your organization for the first time? Find other attendees who have done something similar and create a peer support group. Bonus: Your goals give you built-in conversation topics for all those networking receptions. 3. Internal communication is key. Stretch the benefits of the conference even further by sharing your newfound knowledge when you get back. Forward relevant, new tools to colleagues who weren’t able to attend. Better yet, build time into your next department meeting to discuss any “a-ha” moments and brainstorm how best to integrate new ideas into your work. Demonstrating that you – and your colleagues – are able to apply key takeaways from the conference is also a great way to help get next year’s event approved in your budget. 4. Give audiences meaningful ways to engage with your cause. Think about who else will be attending the conference and have one or two calls to action at the ready in case people you meet are interested in learning more about your organization. (Be sure your “ask” respects conference guidelines like “no solicitation” policies with funders.) I knew that 19NTC would be filled with nonprofit professionals who are smart and community-minded, so I offered those attendees with an interest in communications a chance to preview our updated and expanded Communications Toolkit. * As a result, we created a “win-win” based on shared values and mission alignment. Do you have additional tips for how to maximize a conference experience? Share your thoughts on Twitter or Instagram and tag us using @CauseComm. *Curious about the Communications Toolkit project? There’s still time to join our “First Look” team and provide feedback that will help shape this new resource. Use the form at the bottom of this page to sign up. 1. Take the time to create great core messages. Every organization should have a handful of core messages that align with – but are distinct from – your mission statement. These should help your audiences emotionally connect to the work your organization is doing, and clearly articulate why this work is important. Remember that everyone is a communicator in your organization – from the person answering your phones to your board members. Make sure they all have a set of consistent and updated core messages that they can use when they communicate both internally and externally. Ready to get writing? Our Bite-Size Course, How to Create a Core Message for Your Cause, has a fun video and handy worksheet to help you get started. 2. Tailor your messages to each audience group. Chances are that the people who care about your cause – including donors, volunteers, and partners – are motivated to engage with your organization for different reasons. Use those unique attributes to your benefit by tailoring your core messages to each audience group. This kind of approach to communicating with your audiences will help you forge deeper relationships and increase the effectiveness of your calls-to-action. Learn more in our Bite-Size Courses: How to Identify Audiences for Your Cause and How to Customize Your Message. 3. Be a strategic thinker. Many people spend a lot of time focusing on communications “tactics” – such as social media, e-newsletters and events. However, every tactic should tie back to a larger strategic goal and strategy. Ask yourself these questions: Why are we spending time and resources on this tactic? What is the purpose of this tactic? Who are we trying to reach? If you can answer these questions, you are are already on your way to thinking strategically about your communications. 4. Create a master communications calendar. Mapping out all your communications efforts onto one timeline or calendar is a great way to refine your strategy and ensure your game plan is realistic. Your timeline will reveal where there may be gaps or redundancies in reaching particular audiences, which months are shaping up to be especially busy, and whether you’re using the right mix of communications platforms. A calendar can also allow you to be more efficient with your resources, as you will be better able to confirm priorities and determine where your staff’s time should be dedicated. 5. Measure and evaluate your communications efforts. How will you know if your efforts are working if you don’t take the time to track and analyze your results? If you are sending out e-newsletters for example – do you regularly review how many are actually opened or clicked through? If the open rates are low, maybe you need to adjust the subject lines. Qualitative evaluations, like surveys, can also provide valuable insights. Whatever methods you utilize, use your data to guide future strategy and ongoing refinements to your communications plan. For more information about how your organization can participate in one of our trainings or how you can fund trainings for your grantees to improve their communications effectiveness, please contact Vanessa Schnaidt at vschnaidt@causecomm.org. Engaged donors are the backbone of your cause. Once donors connect with your organization, they are likely to contribute again if you continue to reach out and involve them in your work. And retained donors offer more than recurring donations. They can connect you with other fundraising sources and become strong advocates for your cause. A long-term investment in strategic communications will pay dividends for your organization – particularly when it comes to your development and fundraising efforts. Strong communications can help you tell your story in a targeted way to key audiences, enhance your organization’s reach and reputation, make the case for bigger dollars, expand your donor base, and demonstrate the impact of your donor’s contributions. Sound good? Read on to understand the basics of donor engagement and get started on this communications-driven path to success. Although they are often used interchangeably, development and fundraising aren’t the same thing. “Development” is the process of creating and enhancing relationships with donors and potential donors. It creates a connection between a donor and your cause or organization. “Fundraising” only addresses the giving aspect of the process and considers that people may be motivated to give for reasons other than a personal connection to your cause. This distinction is important when you’re planning your donor engagement strategy. Whether you’re trying to attract new donors to your cause or maximize the donors you have, you’ll want to choose the right tools for the job. Development efforts should be strategic, expansive, and designed for the long haul. Fundraising is based on specific goals – both short and long term – and often requires a more tactical approach. Relationships are at the core of donor engagement. 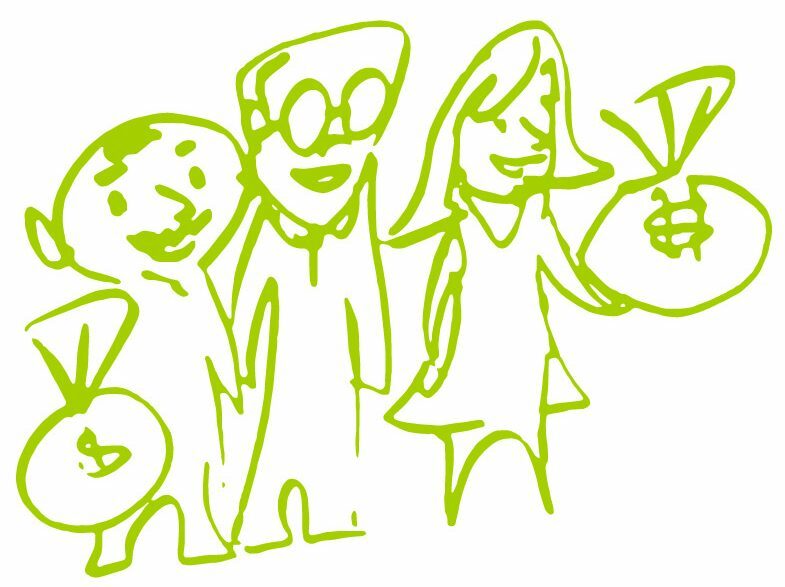 Get to know your donors and program officers so you understand what is important to them. Be curious about their lives and what they value. The best way to get to know your donors is by listening to them. Donors want to share their passions and their vision for creating positive change. Stay in touch with donors; stay connected. The rule of thumb is seven touchpoints before making an ask. People don’t give because YOU need money. Donors want to know how you are making a difference; how the community is benefiting. Donors don’t give to “losers.” Why give to the cancer center? Donors want to help people live, cure a disease, or create a lasting impact. People rarely give to meet YOUR goal. Why should anyone care about your goal? Don’t talk about how much funding you need at the end of your fiscal year. Translate your needs into benefits and outcomes – what are you going to do with their gifts and why does it matter? What kind of impact will a gift have and how does that align with your donors’ goals? Gifts/grants are an investment in your cause. Donors want meaningful returns. Just like investing in stock, they can give for the short term and for the long term. And if their investment in you produces returns, they’ll invest again. Be sure to follow up: share stories and relevant metrics about the impact of your work. Be prepared to communicate your impact. Build your case for support. How does your organization make a difference? Why are you relevant? What are you doing that others aren’t? What would happen if your organization went away? The answers to these questions are fundamental components of your communications strategy and demonstrate why your organization is worth supporting. Donors want to see that you’re using their money on the programs and services you said you would. Establish your organization’s credibility and integrity, and you’ll develop enduring donor relationships that last for years. Communications and fundraising are inextricably linked. Good communications can support your donor engagement and fundraising purposes, and fundraising campaigns can also serve as ideal opportunities to tell your story and develop new donors. Build the right strategies into your communications plan and you’ll succeed at both! Pro Tip: To learn more about these topics, check out our expansive library of Tools and Resources. On October 17, 2017, the County of Los Angeles Board of Supervisors recognized R. Christine (Chris) Hershey and Hershey Cause Communications in a special ceremony. Third District Supervisor Sheila Kuehl presented Chris with a scroll honoring “40 years of leadership.” We were humbled and grateful to receive this recognition, which will serve as motivation for many more years of using communications to create, accelerate, and amplify social change. We’re pleased to share a few photos from the day, plus the text of the commemorative scroll. NOW THEREFORE, BE IT RESOLVED that the Board of Supervisors of the County of Los Angeles hereby congratulates, commends, and sincerely thanks R. Christine Hershey and Hershey Cause Communications for 40 years of leadership using communications for good, and extends best wishes for continued groundbreaking success. From organizing tasks to coordinating social media, the team here at Hershey Cause Communications takes advantage of a vast array of resources and technologies – while also helping our clients adopt relevant tools in their own day-to-day. As an intern, I get to see and experience this firsthand, but I grew curious about what tech resources really make a difference in their lives. So I recently sat down with a few of my colleagues to see how they’re keeping up with the ever-evolving landscape of technology, better understand what applications they are using to make our work more effective and efficient, and gather some tips that you might want to try. I also learned about their favorite apps outside of the office; from getting good deals to creative inspiration to interacting with the world around us. Here are some highlights from those conversations. For many nonprofits, the thought of adopting new technologies can be daunting – especially due to the upfront costs and time required to become proficient. Jessica, our project manager, believes that investing the effort into researching and training in the appropriate applications for the specific needs of an organization pays off in the long-run. For example, Raiser’s Edge, one of the nonprofit sector’s most popular and comprehensive fundraising tools, might require 18+ hours of training to become proficient; but it can save hundreds of hours of writing thank you notes, keeping track of funder information, and managing various campaigns. In the mornings, Jessica checks What the Forecast?!! to give her a heads-up on the weather and a little laugh to start her day. As our Operations Director, Jennifer makes sure office operations run like a well-oiled machine, so that we can focus our attention on helping our clients use communications for good. One of the primary tools Jennifer relies on is a database suite called QuickBase, which helps the entire team manage our time, stay organized, and assess our efforts. Similar to the Customer Relationship Management (CRM) or project management software you may be using in your own organization, our database allows our team to be more synchronized, productive, and adaptable to the needs of our organization – and to the clients we serve. When she’s not leading operations, Jennifer likes to take advantage of an ensemble of applications that help her get great deals on food and drinks like Cartwheel and OpenTable. After a heavily discounted dinner out, Jennifer enjoys chatting with her best-friends and husband by sending video messages using Marco Polo. Jenna is our Senior Designer here at Hershey Cause, so she utilizes a variety of programs to create compelling designs and presentations. The Adobe Suite is her bread-and-butter where she takes advantage of the powerful and interconnected tools at her disposal. While they can all ultimately can produce similar results, picking the right tool for the job allows her to work efficiently and effectively. So she uses Illustrator for logos, Experience Design for website layouts, and InDesign for printed materials. She also prefers to work in Keynote over Powerpoint, citing that Keynote’s interface is more intuitive, the styles are crisper, and the program offers her more freedom to craft the overall aesthetic of the presentation she’s creating. Jenna is always looking for creative inspiration, so she browses DesignInspiration.net and Instagram for designers like the crazy Mr. Doodle! Our Group Account Director, Vanessa, oversees our accounts and often helps clients assess what tech tools are right for them. When nonprofits are looking to incorporate new resources into their work, Vanessa encourages them to do their research to make sure the specific platform aligns with their organization’s goals and needs, while also being clear on what features and functionality are a “must-have” versus a “nice-to-have.” Her advice to anyone looking at adopting new technologies: these tools are meant to assist your organization’s efforts and support your larger goals, but are never a replacement for communications strategy and building real relationships. In the evenings, Vanessa enjoys listening to podcasts on the KCRW app. Check out a couple of her favorites: Good Food or Art Talk. Chris leads branding, marketing, and campaign projects for our clients, so tools that support innovative thinking and creative solutions are key for him. Chris complements his use of the Adobe Suite with various smaller programs to streamline his tasks. Especially when working with others outside of the office, he uses Google Drive to share design assets and takes advantage of it’s built in version control. He can quickly and easily create website mockups using the online platform InVision or the Mac-based Sketch. FontExplorer Pro helps him manage the many different fonts used by our clients while making sure his computer doesn’t slow down. Chris is sort of a hippie really enjoys nature, so in his spare time he uses PlantNet and iNaturalist to identify the local flora and fauna and share his observations with other naturalists. Our founder Chris is constantly connecting people, causes, and even communities to each other so do-gooders can do better. To do that, Chris complements her natural charisma with her networking tools, LinkedIn and Facebook. She believes having a strong LinkedIn profile is vitally important for those who are networking online, not to mention one of the most important online tools for professional personal branding. And what about when she’s not networking? Well, anyone who knows her, knows that Chris is pretty chill: but she gets some help slowing things down using the Calm and Headspace apps. Did I mention Chris is the best pokemon trainer in the office? She has a 1454 CP Arcanine on PokemonGo. With the advent of technology, virtual meetings by way of conference calls, Skype, and even FaceTime have become the norm. No doubt you’ve experienced first hand having meeting after virtual meeting be dominated by spotty WiFi, poor cell connections, lag time, and static, not to mention a lack of any human eye contact, touch, or human kindness. We see it, too, and we’re convinced many meetings do more harm than good as a result. In the spirit of Hershey Cause Communications’ mission as “evangelists for (good!) communications,” we offer up this “Bingo” card meme to share and serve as a reminder to focus on ways to build real relationships with people. Spread the word! I share a birthday with America – a coincidence that has inspired a life-long love of fireworks. This year on the 4th of the July, I was mesmerized equally by the pyrotechnic display in the sky and by how utterly captivated everyone sat, “oohing” and “awing” in unison for the 20-minute show. It got me thinking: how can smart communications have that same affect on a group? How can you communicate about your organization in a way that lights up your audience’s eyes and ignites interest in your work? When we work with nonprofits through our many training programs, we emphasize the importance of developing a core message – a simple statement distinct from your mission that sparks interest and highlights what sets your organization apart. Follow these steps to develop your own core message, so you can talk about your organization in a clear, relatable way that will inspire people to learn more and support you. 1. Start by brainstorming what need or challenge do you address? Think about why you exist in the big picture – why people come to you. 2. Next, jot down what is your organization’s solution or approach? What is different or unique about your work? Avoid programmatic details that get you into the weeds. Instead, think about how, where, and in what ways your organization is addressing those needs or challenges. 3. Now take a moment to reflect on what benefits or results do you create? What is your organization’s impact on individual lives and on the community overall? What has changed because of your cause’s work? 4. Now, summarize the strongest points into your core message. Keep it to one or two sentences, and remember that your core message is not a list of your programs. It doesn’t need to cover every detail of what you do – just enough to paint a picture of your work and entice someone to want to learn more. Also, be careful not to rely on jargon or too many facts and figures in your core message; the goal is to keep it simple, memorable, and relatable. Once you have a draft of your core message, check it against these five criteria. If your message passes the “DISCO” test, you’ve likely got a winner on your hands. D – DISTINCT – Does your message capture what’s unique about your organization? 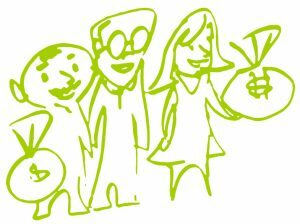 I – INSPIRING – Does your message draw people in? Is this an organization people want to be a part of? S – SIMPLE – Is your message free of jargon and words only people in your field know? Will another colleague in your organization be able to remember it? C – COMPELLING – Does your message have an emotional quality to it? Does it make people feel something when they hear it? Ready to get to work? Download our free worksheet to help you get started. While I will always have a soft spot in my heart for fireworks, there’s plenty of room in there for causes, too. Hopefully one day I’ll have a chance to hear your core message and respond with oohs and awes. Now that we’re entering the most sweltering stretch of the summer, we thought it’d be fun to introduce you to some of the furry friends that help us stay cool, calm, and collected in even the busiest of times here at Hershey Cause Communications. On any given day, if you drop by the office, there’s no telling which of our four-pawed pals you might meet. Fidel (Chris Alves) – Shelter pup Fidel, not to be mistaken for the famous Cuban dictator, Fidel Castro (although we must admit, his resemblance is striking! ), enjoys spontaneous wiggles down grassy hills, all varieties of meaty treats, and the occasional dip in the Pacific Ocean. Most of the time you can find Fidel sprawled out on the most comfortable flooring he can find. Datsun (Nick Bhatt) – Named after a 1978 280Z beloved by his human, Datsun is a feisty, loving, and very tidy rescue from the Santa Monica pet shelter. He likes to spend summer days grooming himself and basking in the warm sun between games of fetch with his favorite stuffed animals (since he has absolutely no interest whatsoever in any kind of ball or typical dog toy). Cookie (Katie Hershey Van Horn) – Cookie is a dog trapped in a cat’s body. After all, how many cats do you know that like to play catch? Cookie is a 10 month old rescue from NoKill LA. She can often be found playing in water or lounging in the sun, but her favorite activity of all is climbing. Roo and Bronco (Beth Babyak) – Roo (left) is top dog in the house. Rescued from a shelter in Arizona, she now spends her days napping and keeping an eye on the household’s 10 chickens. She may be little but she is very fearlessly protective of her house and owners, using her superb leaping skills to keep everyone safe – and entertained! Bronco, AKA Bubba, was rescued from the West LA Animal Shelter and is the friendliest dog you’ll ever meet, despite spending over two years in a shelter. Now in his forever home, he loves to chase lizards around the yard and also loves to hang out in the kitchen as a sous chef – ready to take care of any food that might fall his way. Rosie (Chris Hershey) – Rosie was an adorable pet shop rescue. The day we found her she looked so forlorn and wasn’t in the best health, physically or emotionally, after another family had taken her home and then returned her. She quickly became a part of our family and for years we could not have had a more loyal, loving friend. Sadly, Rosie recently left us to cross over the rainbow bridge – but we still feel her loving spirit watching over us. No matter the weather, our pets always remind us of the joy of simple pleasures, of the importance of loyalty, and that it’s never too late for a second (or third, or fourth) chance at a better, happier, more fulfilling life. For all these reasons our pets are an important part of the culture here at Hershey Cause – always have been, always will be. As a proud member of the board of directors for PetSmart Charities, which has helped over 500,000 pets find forever homes and has provided more than $30,000,000 in funding to animal welfare causes, our founder, R. Christine “Chris” Hershey, is a passionate advocate for animal adoption – and she’d love to tell you why. Drop by our office and say hi – and make a new friend or two! Now, I’ve turned 40 once before—but I’ll admit I’m excited to do it all over again. Because I remember what turning 40 really means. For me, it means a full embrace of authenticity. A time to double-down on what’s most important to us, and to recommit to the interests and values that keep us fully charged. It means living in alignment with real values—and with consistency and devotion to service. At 40, we begin to recognize time is not a limitless currency—but also that our lessons learned have strengthened our resolve. We have developed a skillset for pushing with purpose into the years ahead. At 40, we’ve shed the edges of what isn’t us to clear the way for more of what is unmistakably us. We’ve been guiding clients to discover their own authentic selves since the earliest days of our business. For four decades now, activists, advocates, and conscientious leaders have turned to us for powerful communications strategies that give voice to tipping point issues and put non-profit and for-profit interests on equal footing. These extraordinary collaborations have done far more than draw attention to great causes — they’ve helped turn empathy into currency and currency into life-changing solutions for children, for members of the LGBT community, for educators, for our shared environmental health, and for a more just and empathetic world. We’re proud of our many successes—and, even today, the memories of some of our favorite clients continue to ripple across conversation in our office, long after their projects have closed. In 2012, we joined forces with Kaiser Permanente to guide a community benefit campaign for the HBO documentary Weight of the Nation, a film which launched one of the country’s largest public health campaigns on obesity. Our nation-wide screenings and educational events sparked dialogues not only with families and their physicians but also with policymakers whose eyes were opened wider to a life-threatening concern. In 2000, we published the first edition of our Communications Toolkit, providing expert guidance in communications practices for visionaries throughout the nonprofit world. This toolkit, which aids in everything from goal setting and budgeting a communications plan to raising awareness of (and funds for) extraordinary causes, has been reprinted numerous times and has even helped former Fortune 500 marketing executives develop new skills within the competitive nonprofit arena. 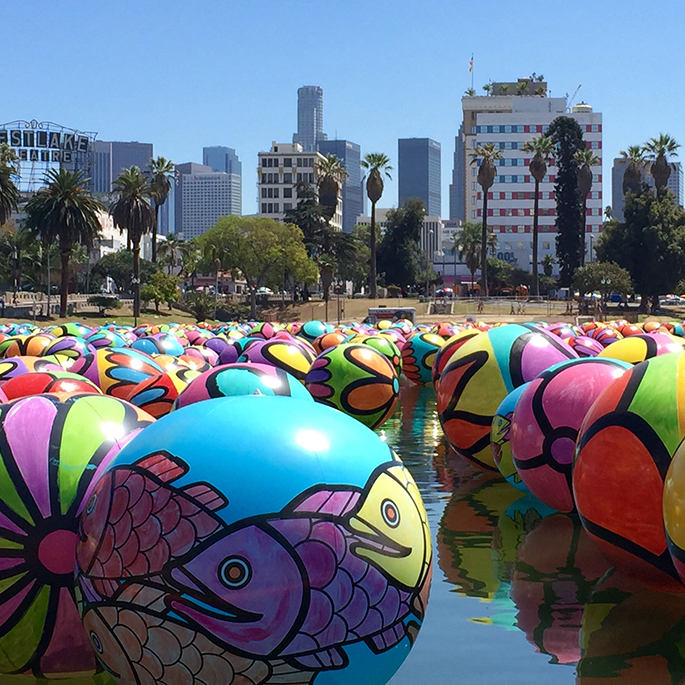 In 2015, we collaborated with AltaSea at the Port of Los Angeles, a public-private partnership that merges science, education, and business interests to generate innovative solutions to global sustainability issues. As AltaSea prepares to break ground this year on its 35-acre campus, work is already underway to expand and deepen public understanding of the ocean, to contribute to the sustenance of ocean-related businesses, and to champion robust engagement in the sciences. 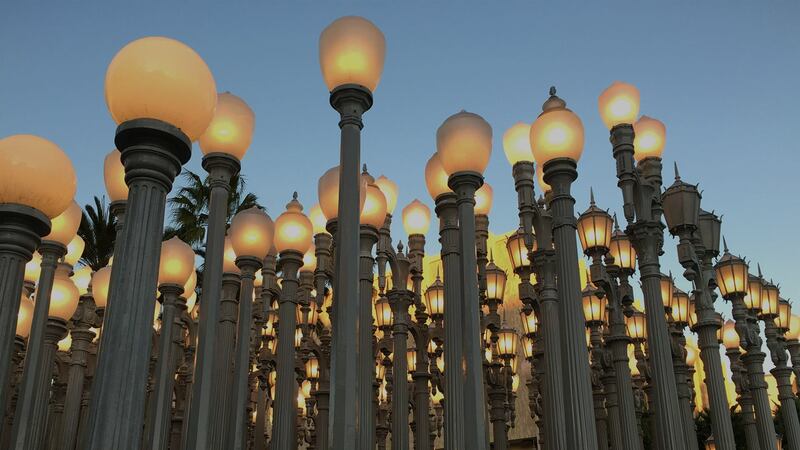 We’re thrilled to have helped communicate this pioneering organization’s vision and ingenuity to the City of Los Angeles. We believe the power of smart communications should be accessible to all. For 40 years, we’ve staked our reputation, and our revenue, on providing a megaphone for those who too often go unheard, and on providing a toolbox for those who can’t yet craft their message alone. We are a mission-driven organization with a values-driven mindset. Equity. Empathy. Clarity. Opportunity. Purpose. In recent years, that mission, and those values, have only grown stronger. As our current political climate drowns out marginalized voices in profound and devastating ways, the demand for clear and powerful storytelling has rarely been more urgent than it is right now. So although this 40th anniversary seems a natural time to reflect on the past, at Hershey Cause our hearts are already directed towards the next 40 years — a future informed by the urgency of today. My own heart can’t help but quicken at the thought of what impact these next uncertain chapters may have on generations to come, and yet I remain resoundingly optimistic that the future is ours to shape. This is the time for intrepid causes to take bold action. Although we may not know exactly what the future will demand of us, we can be sure it will lean on the shoulders of fearless and skilled communicators. It will require authentic leaders and strategists, across all industries, who shine a light on the misunderstood, on the invisible, on the underfunded, and on the underestimated. It will be an opportunity for progress and purpose. And we’re ready. I can’t wait to see what the next 40 years will bring. We aren’t afraid to admit it; we have a couple technology nerds at Hershey Cause. Some may think “tech” is the buzzword du jour but we at Hershey Cause know that, used strategically, technology has the power to help all organizations communicate more effectively. Several members of our team attended the 2017 Nonprofit Technology Conference (NTC) in Washington, D.C. hosted by the Nonprofit Technology Network (NTEN). We met a ton of cool nonprofit leaders and geeked out on the latest tips and trends in nonprofit tech. Below are our top three tips that anyone (including those who are less tech-savvy) can use to make your organization’s communications go further. Whether you are a tech newbie or writing the backend code for your organization’s website, there are a ton of free and affordable resources available to help your organization communicate better. Here are just a few of our favorites. NTEN – This membership organization provides resources, classes and an online community to any nonprofit professional whose roles touches tech – from web development and digital strategy to fundraising databases. We love that the online community connects members to each other, provides professional development opportunities as well as the latest news and trends on technology use in nonprofits. They also host very cool (and fun!) conferences. TechSoup – Did you know that your organization might be eligible to receive free or discounted tech tools and trainings? TechSoup provides discounted software, hardware, services, and training to qualifying changemakers. Check out their site to take advantage of all kinds of free resources specifically geared towards nonprofit leaders. Want more? There are countless other resources available for nonprofits on many different tech topics, including NonprofitReady.org, Foundation Center and the Technology Affinity Group. Think data analytics isn’t, or doesn’t need to be, for you? Think again. Even a basic understanding of some topline data trends can mean a huge difference for your organization. Data analytics can help mission-driven organizations make better decisions about the most effective ways to allocate their precious resources to maximize social impact. We recommend starting with your organization’s website. Who is coming to your site? Which pages to people go to first? How long do people spend on each page? What do they click on? Google Analytics is a free and easy analytics service that tracks and reports on your website traffic and can help you find answers all of these questions. Once you start seeing the trends on your site you can then use this data to optimize content to attract and retain donors and volunteers. Need a basic tutorial? Start here. According to Time, Americans are on their phone 8 billion times per day. Okay, so maybe that number is a bit misleading – it’s actually an aggregate of all of the times all Americans look at their phone on a daily basis, but you get the point. Phones are often the first and preferred way your audiences are learning about your cause. If your organization hasn’t optimized its web presence for mobile you could be frustrating your members, donors or volunteers. Your web developer can help you decide if it makes sense to optimize just the well-trafficked pages of your site, create a separate mobile version of your site or build a responsive design that resizes and rearranges content for smartphone users. Make the mobile experience even more user friendly by presenting your content in short, bite-sized pieces, using bullet points, creating mobile-friendly emails and ensuring your site’s navigation is simple and intuitive. Some causes may also want to explore developing a text to donate campaign and building mobile apps. Mobile optimization is an important step in keeping your stakeholders engaged and educated and shouldn’t be overlooked. We had a blast at the NTEN conference and are eager to pass on even more of the lessons we learned to our clients. Especially as the political and funding landscape continues to evolve, we know that technology can be a strategic tool in helping nonprofits communicate with their audiences more effectively. Next month, our agency will celebrate an incredible 40 years of furthering “communications for good.” That phrase has been our tagline for many years – and it encapsulates the work we’re proud to do every day. Those three words aren’t just sloganeering. Our founder, R. Christine “Chris” Hershey, has long been a proponent of doing good for communications – as an evangelist for the impact of smart, strategic messaging on an organization’s success, irrespective of the industry it serves. Central to Chris’s worldview is the idea that — whether its efforts are proactive or reactive, internal or external — communications belongs right at the top of any organization, alongside leaders in business strategy, in finance and in human resources. Every day, we see the need for just this sort of prioritization. When a passenger was recently removed from a United Airlines flight, the company’s organizational structure proved unprepared to allow the CEO to receive direct and timely advice from his in-house communications and PR professionals. This gap between leadership and communications swiftly worsened an already costly circumstance for United Airlines, as it has for so many other organizations and causes. Because it is relied upon both for the maximization of opportunities and for the prevention (or, at least, mitigation) of crises, strategic communication is a critical investment for any organizational effort. If empowered with unhindered access to decision-makers, an experienced communications professional helps leaders “see around corners” to more fully understand the downstream effects, perceptions and consequences of their important decisions. That’s the sort of value that can sink or save a bold agenda. Who knows — it might even have rescued United from appearing so divided. For example, you might have a goal of saving money for the future – but if you had to make this a SMART goal you might decide you want to save $100 per month for the next 12 months. Because you took the time to properly define your goal and you have something specific to measure you will be able to better track your progress. The same thinking can be applied to your cause. Maybe you have a goal of bringing more volunteers into your organization (great idea!). The SMART version of this goal may be to increase your volunteer pool by 10% in the next six months. Now you have a concrete goal to work towards. Not only does making your goals SMART help you to better measure your progress it also makes it easier to decide which strategies are best to achieve your goal. A strategy is what you will do to achieve your goal. If you want to reach more volunteers for example, one strategy may be to ask each of your current volunteers to spread the word that you are looking for new volunteers. Another strategy could be to share more stories about the great work the volunteers are doing. And because you set a timeframe for your goal, you can also determine how aggressive you need to be and how many resources you may need to devote to these strategies. So take some time this spring to either dust off any of the goals you set for your cause last year and evaluate them with fresh eyes, or brainstorm some new goals for 2017 and beyond. And don’t forget to make them SMART!